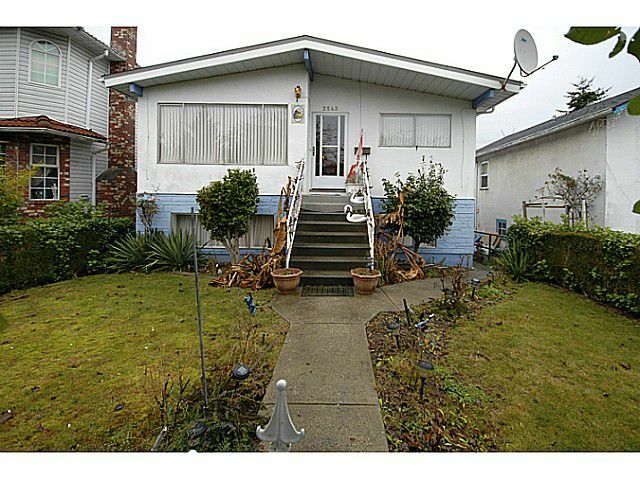 Solid 5 bedroom - including a 2 bedroom mortgage helper with private entrance. Kitchen has a nice sized eating area with access to a huge newer balcony for your entertainment and BBQ. Upstairs includes Living room with a cozy wood-burningfireplace. Downstairs comes with 2 Bedrooms, Kitchen, Living and Dining room, full Bathroom and a large Laundry area. The roof has been replaced with full metal whith extended warranty. Backyard includes a very nice patio-like grotto with grapevines, fig tree, fruit trees and room for a small garden. There is parking off the lane and lots of spare parking available. Close to Parks, Shopping, Schools and Transportation. Showings by appointment only.